UFC president Dana White believes Conor McGregor's retirement announcement is genuine and said the Irishman had accomplished "incredible things in the sport". In a statement posted on Twitter early on Tuesday morning the Dubliner said he had "decided to retire from the sport formally known as "Mixed Martial Art" today." 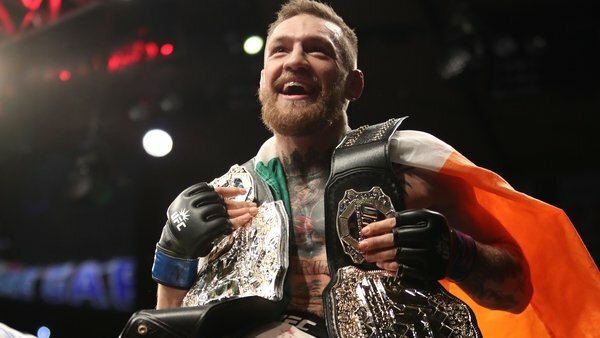 McGregor became the first UFC fighter to hold two belts simultaneously in 2016 when he added the lightweight title to his featherweight crown. The following year he leveraged his growing fame into a first professional boxing bout against undefeated multiple world champion Floyd Mayweather Junior, which is believed to have netted him around $100m alone. In a conversation with ESPN journalist Brett Okamoto, White wrote: "He has the money to retire, and his whiskey is KILLIN’ it. "It totally makes sense. If I was him, I would retire too. "He’s retiring from fighting, not from working. The whiskey will keep him busy, and I’m sure he has other things he’s working on. "He has been so fun to watch. He has accomplished incredible things in this sport. I am so happy for him, and I look forward to seeing him be as successful outside of the octagon as he was in it." In a statement to website MMA junkie, White added that he didn't think the announcement was a negotiating ploy. McGregor last week reiterated a previous demand for the UFC to make him a partner in the company if they wanted him to return to the octagon. 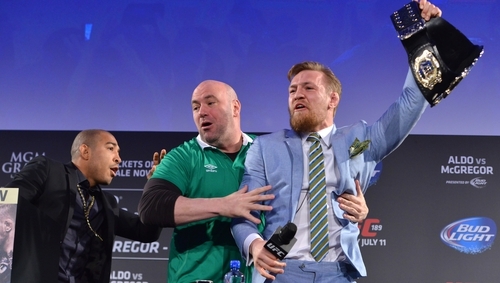 "We really have never had a bad conversation since Conor has been in the UFC," White said. "You know how I feel about retirement: If you are saying it… you should probably do it. I have never been upset about anyone retiring. When a fighter feels he or she should retire then I agree they should." In an interview recorded with American TV host Jimmy Fallon this week and broadcast last night, McGregor had said he was training and preparing to fight again in July. "We’re in talks for July. There’s a lot of politics going on, it’s a mad game, the fight game," he said. "To my fans, I am in shape and I am ready. "There are many opponents, in reality I can pick who I please. I don’t necessarily need to fight. I am set for life, my family is set for life. "We are good, but I am eager to fight. We will see what happens, but I am just staying ready."